Tehachapi resident Adelaide Vernette Beshoar entered into rest on Jan. 23, 2019, in Lancaster, Calif. She was 75 years old. Please call Wood Family Funeral Service, Inc. for service information, 661-822-6897. For condolences please visit www.woodmortuary.net. 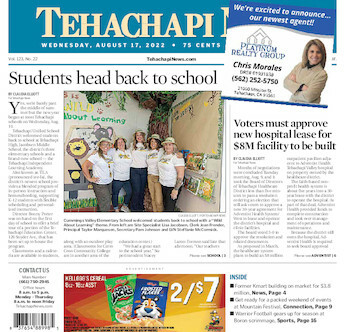 A full obituary will be in next week’s edition of the Tehachapi News.